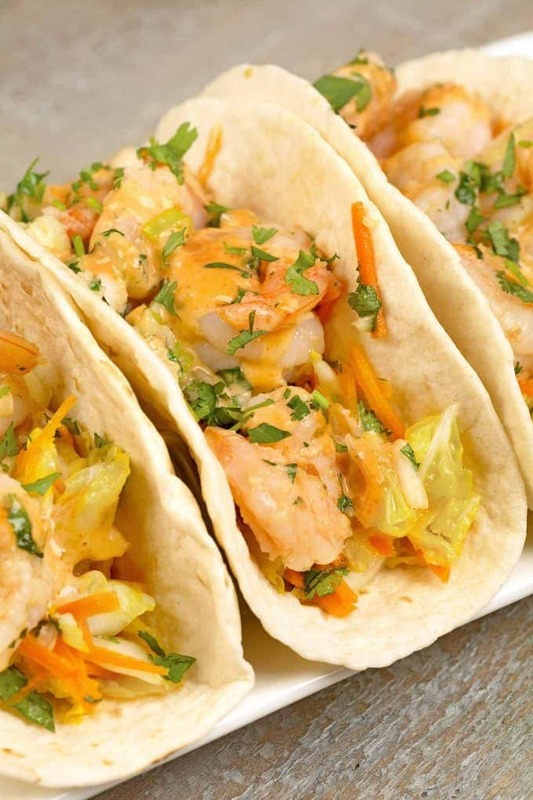 Filled with a crispy napa cabbage slaw and jumbo shrimp stir-fried with garlic and ginger, these Asian-style shrimp tacos make a flavorful, light dish that’s perfect for a weeknight dinner. 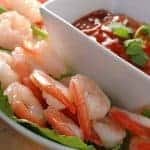 The shrimp is stir-fried to tender perfection along with a generous amount of fresh garlic and ginger, then drizzled with lime juice and combined with scallions and cilantro. 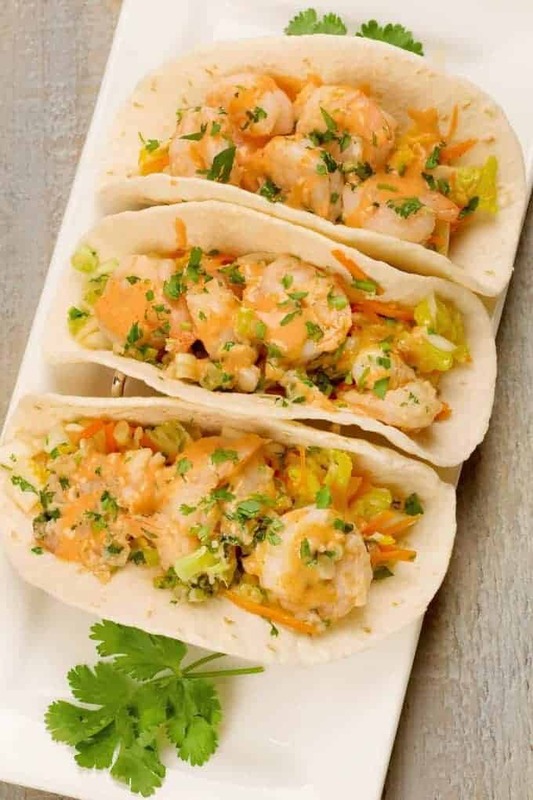 Combined with a simple napa cabbage slaw and a topping of sweet and spicy sriracha mayo, these tacos are fresh-flavored and sure to become a family favorite. Also, in advance of testing and photographing this recipe we ordered some restaurant-style taco holders. They’re relatively inexpensive and if you like to serve soft tacos, they’re really nice to have. Click here (affiliate link) to check them out on Amazon. 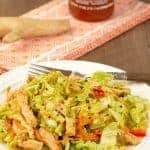 Place the napa cabbage and shredded carrots in a mixing bowl. 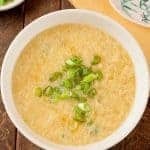 Add 2 tablespoons of the oil, 1 teaspoon of the sugar and 1/2 teaspoon each of minced garlic and ginger. 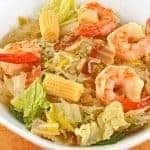 Drizzle with the rice vinegar, season to taste with salt and pepper and combine well. Set aside until ready to assemble the tacos. Add the shrimp to a separate bowl and combine with the remaining garlic and ginger. 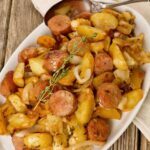 Drizzle with the remaining 2 tablespoons of oil, season lightly with salt and pepper and toss to combine. Set aside. Combine the mayonnaise with the sriracha and remaining teaspoon of sugar and stir until the sugar has dissolved. Set aside. 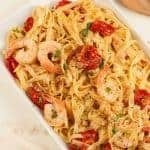 Heat a wok or large frying pan over high heat and add the shrimp mixture. Stir fry until pink and opaque, 3 to 4 minutes. Quickly deglaze the pan with the lime juice, add the cilantro and scallions, toss to combine and remove from the heat. 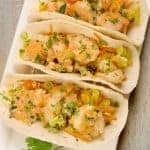 To assemble the tacos, place about 1/3 cup of slaw in the center of each tortilla, top with 3 to 4 shrimp and drizzle each with about 2 teaspoons of sriracha mayo. Serve immediately.